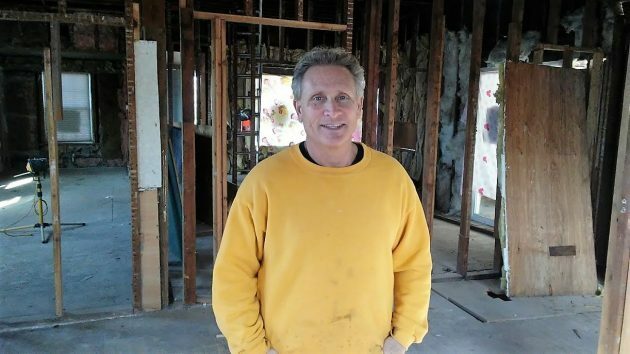 Kevin Ostby hopes to complete the remodeling of 640 Third Ave. S.W. by summer’s end. 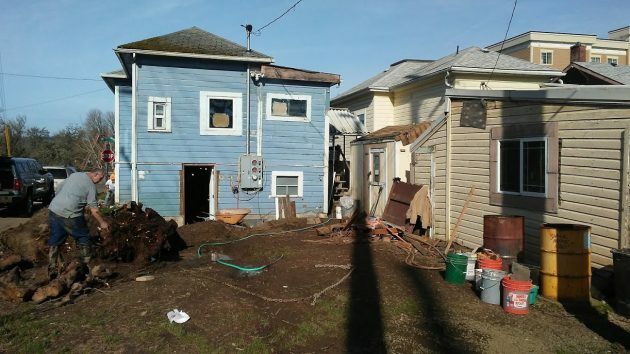 If you and I looked at the dry rot and many other problems of the old house at Albany’s Third Avenue and Vine Street, we would call for a wrecking crew and a bulldozer. But not Kevin Ostby. He’s rebuilding the place pretty much from the bottom up. It was in October 2016 that Kevin and Pam Ostby won the Albany Landmarks Advisory Commission’s approval of their plans to remodel the house, which dates from 1890 or 1905, depending on whether you believe a city report or the Linn County tax department. In what became an unusually contentious session, one issue was window frames — either wood, or vinyl as preferred by the owners and okayed by the panel’s 4-3 vote. The Ostbys, formerly of the mid-valley and now living in Needles, Calif., bought the old wreck of a place at 640 Third Ave. S.W. in 2011 in order to try to save their investment in nearby properties they had renovated. For many years, the place had been neglected and trashed. A tax appraiser noted its sad condition in 2002. Rebuilding the house poses many challenges. All the timbers in the downstairs ceiling, for example, have to be trimmed and then reinforced with added two-by-sixes. That’s because the extra layers now required for fire safety mean the ceiling would otherwise be too low. New openings will have to be saw-cut in the concrete slab in order to accommodate plumbing. There’s still a question whether the sewer out back is deep enough for the house, requiring a pump if it isn’t. The back yard will have to be excavated and supplied with new walks. The roots of a big old maple out back had threatened the gas line, so it had to go. Ostby is undaunted by it all. He grew up helping in, and later working for, his dad’s disaster restoration business in Corvallis. At 61, Kevin plays competitive tennis. He and Pam are scuba divers. Not long ago they were the stars of an episode on HGTV’s “House Hunters,” when they were looking for a beach-front place on the island of Roatan, Honduras. On this project he is his own contractor. But he’ll have licensed plumbers and electricians for those parts of the job. The house has had — and will have again — two small apartments on the ground floor and a three-bedroom, two-bath unit above. Ostby figures he’ll have it all complete by summer’s end. Cutting up the root ball of an old maple behind the house is no small job. 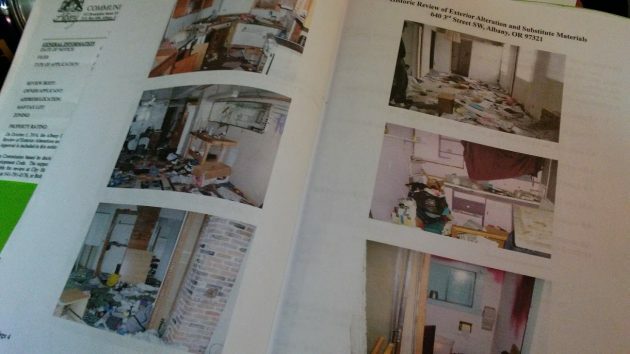 Photos document the inside of the house when the Ostbys bought it. So, an entrepeneur takes on a “dog” project to protect a larger investment. Gumption at work. Yes, their true motivation shines through in this blog report. Makes me smile.